Download Hipnotizame, Love It, I Dont Wanna Dance, Shy Guy, Dont Worry Be Happy, Dont Turn Around, Meant To Be (Feat Jacob Hemphill), Affairs Of The Heart, Gi Dem Gunshot, Red Red Wine, Uptown Top Ranking, Beautiful Girls, Rastaman Chant, Sweets For My Sweet, Hurt So Good, Sorry Is A Sorry Word, Party Non Stop, Forever, Gimme Hope Joanna, Ends Nah Meet, Take You Ova (Adorn Remix), Driver A, Ever Blessed Pum Pum, Stir It Up Mobile Ringtones For Free! 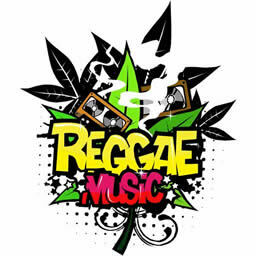 Download Stir It Up ringtone for mobiles - one of the best ringtones for free! You will certainly enjoy its beautiful melody. At PHONEKY Free Ringtones Store, you can download ringtones of different genres, from Pop/Rock and R'NB to the Jazz, Classic and Funny mobile ringtones for any mobile phone free of charge. Download ringtones to your mobile phone directly or via computer. To see the Top 10 best ringtones for mobile phones, just sort ringtones by popularity.